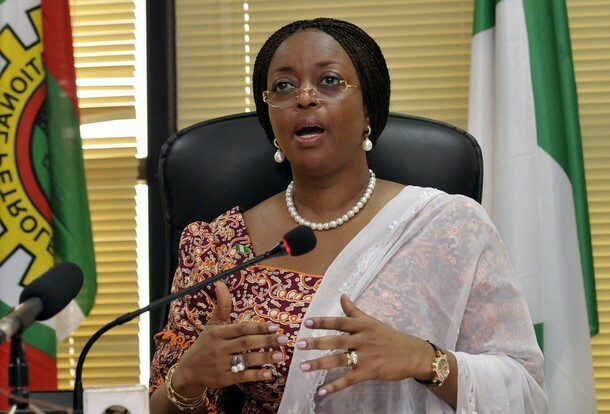 Over the last couple of weeks, a lot of details concerning how Nigeria’s former Minister of Petroleum, Diezeani Alison Madueke, allegedly embezzled public funds have emerged. The stories are mind-blowing, to put mildly, one of them is that she awarded lucrative contracts to her cronies who were neither qualified nor even executed them. In return for this, she was rewarded with luxury apartments in exclusive areas of London and furniture worth $4 million from upscale Houston stores. In fact one of her Cronies purchased an $80 million yacht! which Jay z-the Billionaire musician, apparently had to lease from him at a time. Quartz has a pretty good summary on the findings, you should read it. The weakest link in Nigeria’s oil and gas sector is licensing where it ranks 77th out of the 89 countries considered. This is due to high levels of opacity in the qualification of companies, process rules and disclosure of terms. Tracking payments from oil and gas companies remains a challenge. There is lack of public access to revenue flows to the lower levels of government. The Nigerian National Petroleum Corporation (NNPC) does not report detailed annual reports of its finances especially earnings by its subsidiaries, cost of production and how much it spends on non-commercial activities. NNPC staff have significant discretion around how NNPC sells the government’s share of oil production. Nigeria’s Excess Crude Account (ECA) ranks last as the most poorly governed sovereign wealth fund. It does not publish the rules which govern deposits, withdrawals and investments from the funds. Availablity of more and granular data i.e true beneficial owners of companies, payments made by companies to government and governments deals. Strengthening of global norms and institutions – home countries of multinationals i.e Shell, have a responsibility to ensure that their branches abroad behave responsibly. I hope Diezeani is brought to book and made to account for every penny that her and her cronies embezzled. However, what is even more important to me, is that the entire Industry is restructured such that there is greater transparency and accountability regarding the management of our oil and gas resources and revenue. This is the only way we can ensure that such incidents do not occur in the future. Nigerians deserve better. Don’t forget to share and comment, as always I look forward to knowing what you think about this issue. Previous 1999 Constitutional review: 8 things you should be concerned about!! Next How to get an internship with the United Nations – my experience! Great and in-depth analysis, its a shame how even the smallest businessmen manage their businesses properly. While those governing us do not have the faintest idea on how to do so properly. The solutions to our problems are quite practical and common sense one’s as you pointed out. The problem I believe is due to decades of non-transparency, implementing these would be quite tasking. Well said Chidinma, very tasking indeed !! Thanks for joining the conversation . Impressive. I like the surgical approach to identifying the problem and suggesting solutions.